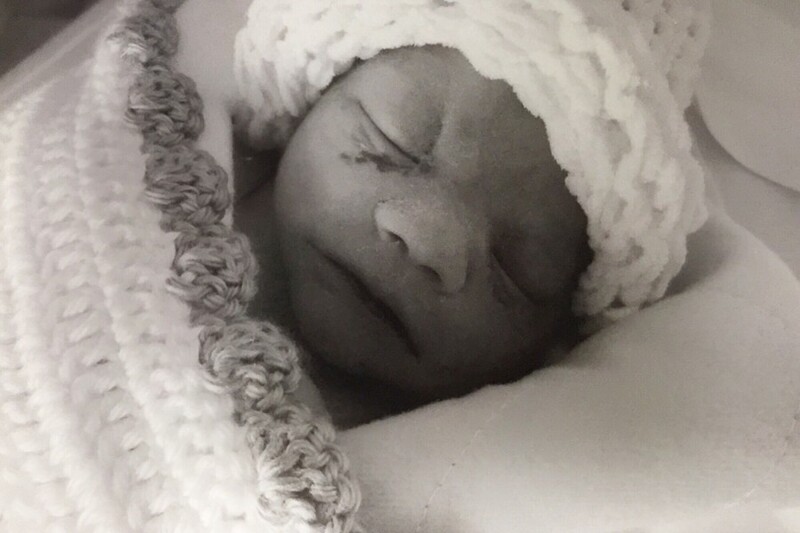 Emma Kay Scarborough, anxiously awaited little one to Felisha Stout and Lucas Scarborough of Union Mills, passed due to complications at 1:44 pm (EDT) on July 16, 2018 in Norfolk, VA.
Emma is survived by her parents; her 3 brothers, Colson of Union Mills, Ryder and Landen of La Porte; grandparents, Scott and Jennifer Stout of Union Mills, Jeff and Shelly Velchek of Westville; uncles, Michael Stout of Ora, Caleb Stout of Union Mills and Alan Velchek of Westville; aunts, Abigail Velchek of Westville and Shyann Stout of Union Mills; great-grandparents, Robert and JoAnne Faught of Valparaiso, LeRoy and Margaret Stout of Star City, Cindy Kraus of La Porte, Rose Wade of Valparaiso, and Judy Bodo of Westville; great, great-grandma, Thelma McGinnis of La Porte; godfather, Micky Schram of Bristol; godmother, Katie Sanchez of Westville; and many great aunts, uncles, and cousins. Emma is preceded in death by her great, great-grandpa, Jack McGinnis; grandpas, Glenn Wade and Scott Scarborough; and great, great-grandma Ward. Visitation will be held on Wednesday, September 5, 2018 from 4 - 6 pm (CDT) at Cutler Funeral Home and Cremation Center in La Porte with a service following at 6 pm (CDT).